Square Enix has announced that three of the four planned DLCs for Final Fantasy XV have been cancelled. In addition, it was confirmed that game director Hajime Tabata has left the company. 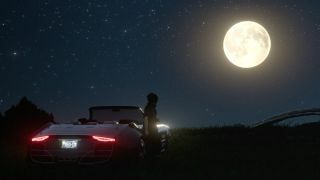 The announcement was made during a Final Fantasy XV Special Program livestream, with Square Enix revealing the Aranea, Noctis and Lunafreye DLC have been cancelled. However, the Ardyn DLC is due to release in March 2019. During the stream, Square Enix explained that due to a "directional change" within the company, resources from the DLCs were being reassigned to working on a new AAA title. However, no further details were divulged on what this new title is. The new DLCs were being developed by Luminous Productions, game director Tabata's new studio within the company. Only hours prior to the announcement Square Enix Holdings reported an "extraordinary loss" in finances through Luminous Productions - amounting to 3,733 million yen. In addition, Square Enix confirmed Tabata's departure through a written statement. "In regards to my next endeavours and near future, I have a project that I truly wish to solidify as my next challenge after Final Fantasy XV," Tabata's statement read. "As production of Episode Ardyn continues and Luminous Productions works on new projects, I felt that it was time for me to hand over the torch to the next-generation group of talented and trustworthy colleagues and believe that they will create something amazing." Final Fantasy XV released in 2016 with a season pass containing extra content, but season pass holders won't be missing out, as it appears everything that was promised has been released.